The theme for this hackathon is improving student life, so come ready to fix all those things you and your friends complain about! (1) $500 grand prize and (2) $250 runner-up prizes. In order to be eligible for the prizes, you must present at the end. Quality: What was the idea? Technology: What technologies did the project use? Did it use them well? Completeness: How polished and ready to use is the project? Teams of up to 4, no rules/restrictions. Come with a team or form one once you arrive, there's no explicit time for team formation, so if you don’t have a team it’s best to arrive early. 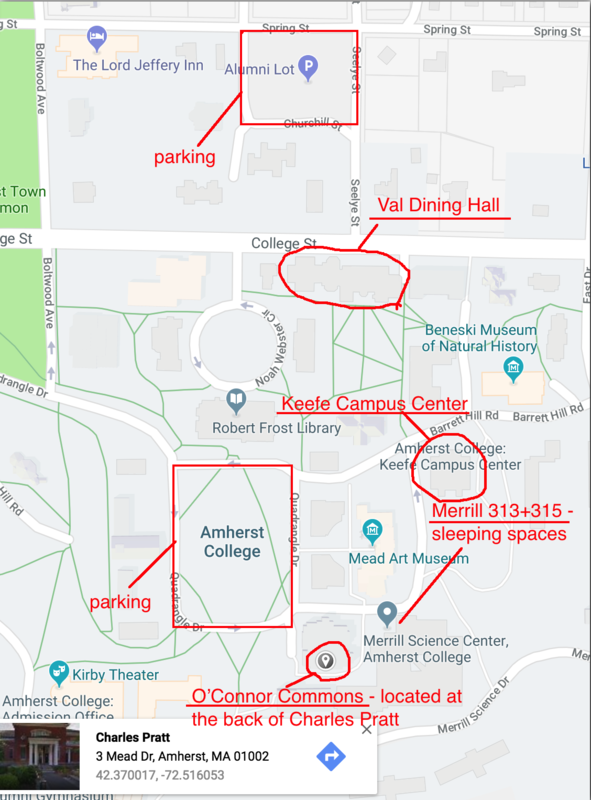 Merrill classrooms 314 and 315 have been set aside for sleeping. We will have sleeping bags on hand for those who can’t bring their own. Beneski Museum of Natural History: open on Saturday and Sunday from 10-5pm, and is home to one of the largest collections of dinosaur tracks in the world!! Board Games: we'll have a ton on hand from 8pm Saturday onwards. Coco: there's a showing of the Disney movie Coco at 7pm on Saturday in the Keefe Campus Center Theatre.